Building work has begun to transform Glasgow’s Pump House into a £10.5m Scotch whisky distillery. The Clydeside distillery – formerly known as the Glasgow distillery – will occupy the 19th-century riverside building that once controlled the bridge allowing cargo ships to enter and leave the Queen’s Dock. Distillery owner Morrison Glasgow Distillers (MGD) changed the name of the distillery to better reflect its location on the banks of the Clyde, while avoiding confusion with the Glasgow distillery operated by Glasgow Distillery Company, which in 2014 became the first new malt distillery in the city in 112 years. Conversion of the property into a 500,000lpa (litres per annum) distillery began on 1 August, and is expected to be completed in autumn 2017. Its visitor centre, which features a café/restaurant and ‘interactive whisky experience’, and which will operate distillery tours and tastings, is expected to attract 65,000 visitors every year. Once operational, Clydeside distillery will create up to 25 jobs. The project has been spearheaded by MGD chairman Tim Morrison, formerly of Morrison Bowmore Distillers and current owner of independent bottler AD Rattray, and his son Andrew, commercial director of MGD. Tim Morrison said the transformation of the Pump House into a distillery was a significant moment in the family’s heritage. ‘My great- and Andrew’s great-great-grandfather, John Morrison, built the Pump House in 1877 and it gives me great pleasure to now have the opportunity to bring the building back to life, restore it to its former glory and give the building and the surrounding area the respect and status it deserves,’ he added. MGD had originally been granted planning permission to convert the Pump House into a distillery in early 2014, but complications forced the team to submit a second application. The conversion has been designed to retain many of the Pump House’s original features, with the distillery itself celebrating Glasgow’s role in Scotch whisky history. 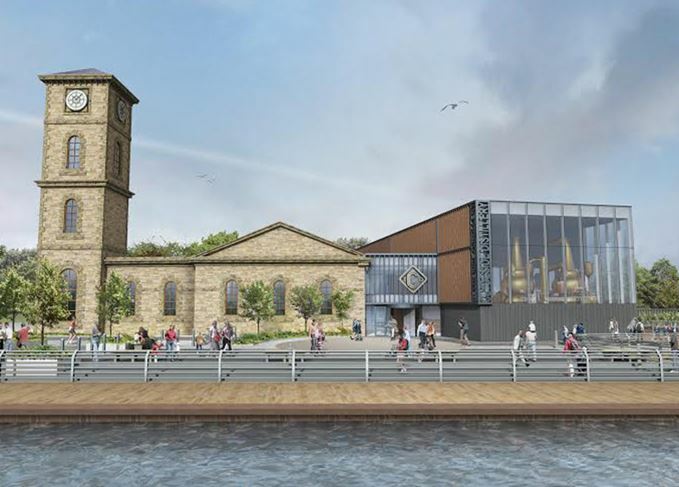 ‘The city was once home to many whisky distilleries, and we think the Clydeside distillery will put Glasgow right back on the Scotch whisky map,’ Tim Morrison said. Building and civil engineering company McLaughlin and Harvey was awarded the contract to build the Clydeside distillery. The Clydeside owner discusses his family legacy, fate and 1960s Bowmore. Former Auchentoshan distillery manager Alistair McDonald will take up the post from September. The renowned whisky consultant leaves a global distilling legacy behind him. Glasgow’s whisky renaissance takes a step forward with the opening of Clydeside distillery. A bevy of Bunnahabhains, including a resurrected bottler and a fascinating maturation project.